I grew up in rural central Minnesota where the hardwood forest meets the vast expanse of the prairie. My days were spent roaming the woods, fishing the rivers and exploring the fields. This landscape is the purpose for my artwork. I create functional stoneware and porcelain pottery. 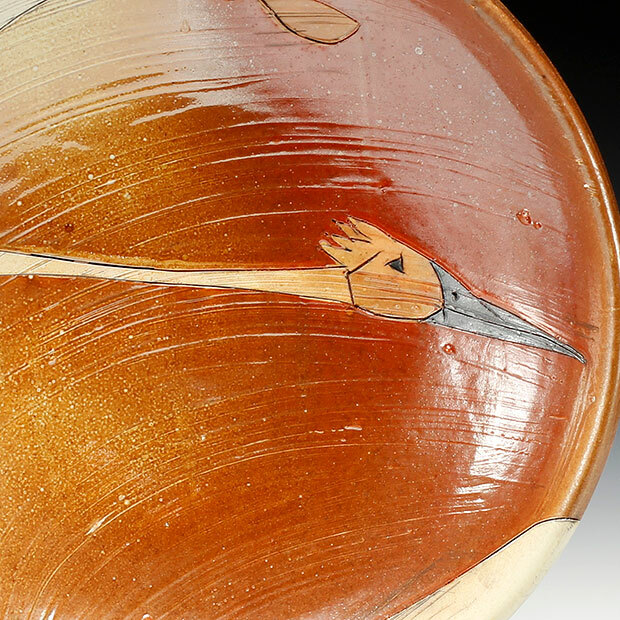 This pottery is decorated with abstract imagery of our vanishing flora, fauna and native landscapes. It is my hope that by using these pots we will all be reminded of the beauty that resides off the beaten path. 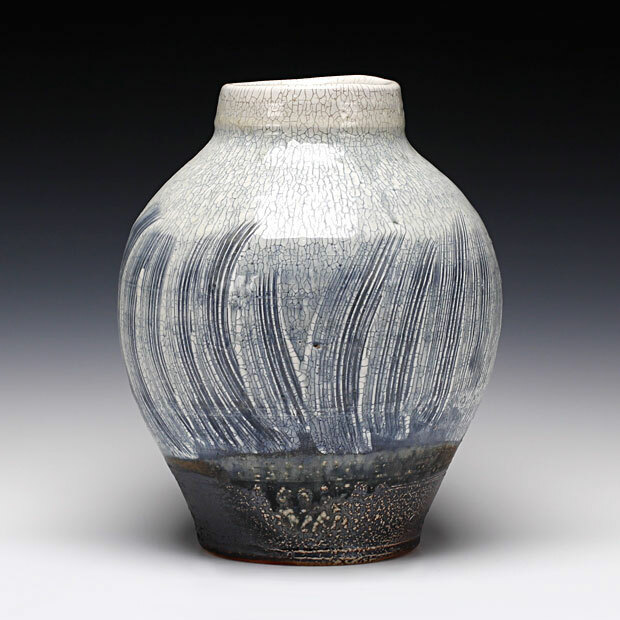 Matt creates his pottery from stoneware fired in a wood or soda kiln to 2300 degrees fahrenheit. The clay body he uses has been specially formulated to give the warm, earthy toned surfaces and durability. He uses around 8 surfaces because he believes that restricting oneself to less forces one to explore the full extent of each. Also, he doesn’t want to hide the beauty of the bare clay itself. 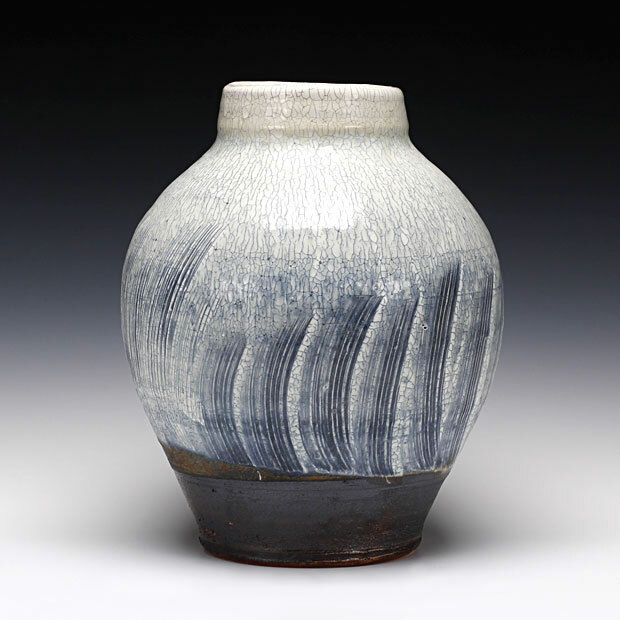 Matt’s pots are created on the wheel and often altered at a very wet state. They are then bisqued and decorated. He will often cover the entire surface of a pot with an iron or black wash and do designs in wax resist over the surface. Then the piece is dipped in a white crackle slip, covering everything except where the wax was put down. These pots then receive an ash glaze exterior and liner glaze. Last but not least, they are carefully wadded and placed in the kiln to be fired.